We know you’d do anything for your family’s oral health — but we also know that caring for smiles of all sizes doesn’t have to send you to dentists all over town. At Central Dental Associates, we’re the experts our neighbors turn to for excellence in family dentistry. That means that from the youngest teeth to the oldest, we’ve got you covered — and all under one roof. Keep reading to learn more about your trusted family dentist in Norwood, MA. We’re proud to offer a variety of services to neighbors of all ages in Norwood. Which of the following will your family benefit from? We love to hear from you — let us know in the comments below! We know prevention is the foundation of every healthy smile, and that’s why at Central Dental Associates in Norwood we emphasize the following fundamental preventive services to stop oral problems before they start. Our number one goal at Central Dental Associates is to prevent decay before it gets the chance to take hold — but when it does, we work hard to restore the tooth to its natural strength and beauty, too. 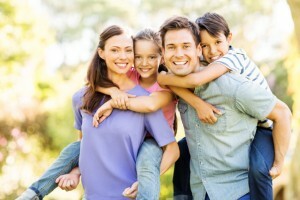 We offer the following restorative services for the whole family. A smile that’s just as beautiful as it is healthy? Now that’s a powerful combination. That’s why we’re so happy to help our Norwood neighbors achieve their smile dreams with the following offerings in cosmetic dentistry. Missing teeth can be caused by a number of factors, including genetics, accidents and poor oral hygiene. If you’ve lost one or more teeth, replacement is vital to your overall health and happiness. We can help you regain your complete smile with these options in Norwood replacement dentistry. If you’re looking for a trusted dental team you can trust with the smiles of everyone in your family, look no further than Central Dental Associates in Norwood, MA. We’re here to keep your whole crew smiling for years to come — click here to request one or more appointments today!